Power is important – but it must be supported by intelligent thinking. Our software skills are one of the things that really make The Automated Technology Group stand out from the crowd. We think of our software systems as the ‘brains’ behind an operation – the structure that supports your business and ensures it runs smoothly, meaning you meet operational deadlines on time and within budget. 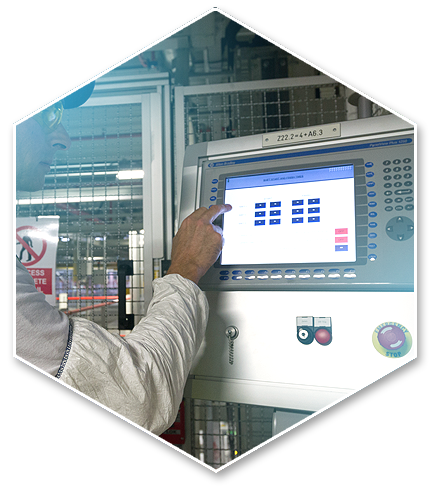 We optimise our engineering processes to produce large-scale automation solutions with numerous sub-systems. Our teams are experienced in writing software to support the wide range of industries we work within – and making it easy for our clients to understand and manage them. And we don’t just leave you to it once the software solution is in place. We are always on hand to test new scenarios and help you understand how to use it to maximise business efficiencies.